Consultations are available daily in person at 106 S. Pennsylvania Avenue, Greensburg, PA or by phone. Using her gifts as a medical intuitive, Dr. Patty is able to pinpoint what is happening in the physical, mental, spiritual, and emotional bodies. 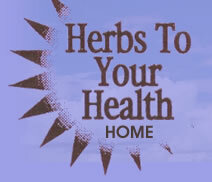 She follows the symptom upstream to see what is causing it, then she recommends supplements to correct the problem. Please include your first and last name and a phone number where you can be reached.